I used to think that All American Wonder 1 and 2 were the must have books. They are still good books and very interesting. 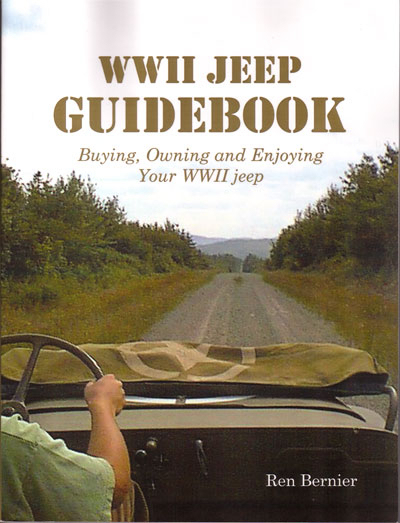 But the first book to buy when you think you want a World War Two jeep has got to be “WWII Jeep Guidebook” by Ren Bernier. This book covers all the angles. Sure there are some minor bones to pick at (but what book doesn’t have at least a few?) Go visit the authors website to order the book. Then after you buy his book, come on back over to my website and get the transmission repair book or the more general automotive troubleshooting books, Vol 1 and Vol 2 — you know you’re going to need them! Heh, heh.